This 99.6% CBD Isolate formula begins with European aCertified Organic hemp that is cultivated to the highest standards.We are committed to sustainable agriculture, sourcing our hemp CBD only from non-GMO crops grown without pesticides, herbicides, or insecticides and is lab tested at 99.6%. 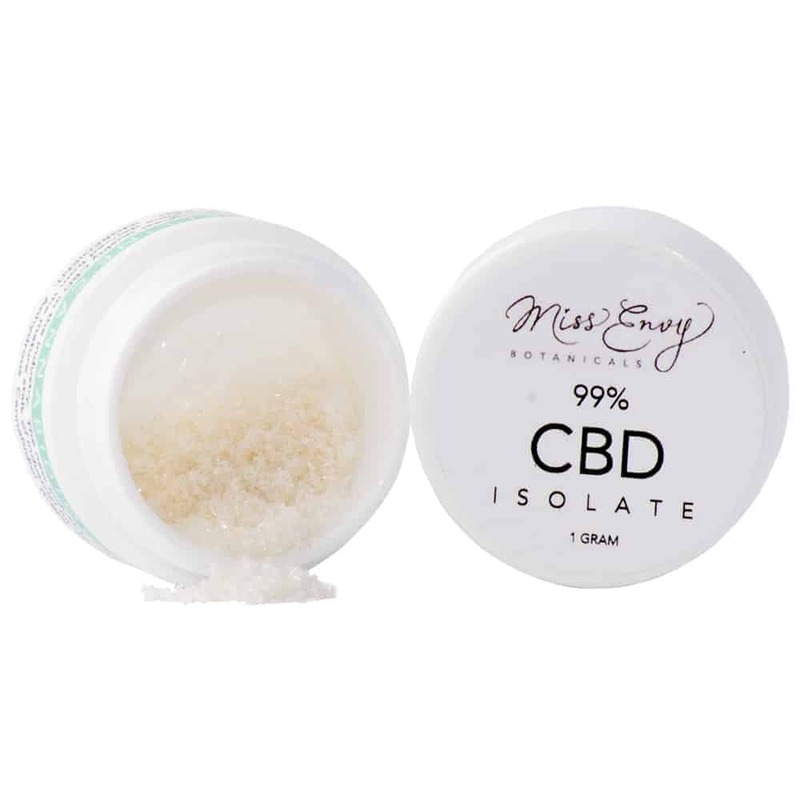 Miss Envy’s CBD isolate can be added to or infused into foods, liquids, nutritional supplements, topicals, and even cosmetics. Also, this isolate contains no TH, so products made from the CBD crystals are not psychotropic and do not produce the “high” associated with THC products.